Over the last five-years, I have worked closely with Mark Yang and Xuefu Wang on developing existential psychology in China. This has been the most rewarding, transforming, and important work of my career. We have been deeply blessed with success, and now I think it is fair to claim that there is nowhere in the world where existential psychology is growing at a more rapid pace than in China. We have always believed that this work was as important for the United States and Western psychology as it was for China. Our often-stated purpose is that we hope to identify indigenous Chinese approaches to existential psychology and bring them into conversation with Western existential psychology. The goal has always been dialogue, not the exportation of Western existential psychology. The unsung and under-recognized champion of this work is Mark Yang. As the person in the United States who has been speaking about this work, I have appreciated the reception and recognition that I have received. Xuefu Wang’s scholarship has helped him gain increasing recognition in the United States. Xuefu’s institute, the Zhi Mian Institute for Psychotherapy, has been selected to receive the Charlotte and Karl Buhler Award from the Society of Humanistic Psychology (APA Division 32). While Mark’s name is often included in the acknowledgements from various people, I believe he has often not received due credit for the work he has done. And Mark would most likely be the last person to be concerned about this lack of recognition. Those who have come to know Mark are not likely surprised by the lack of recognition he has received. It is not that it is undeserved, but rather that it is not sought after and, in many ways, diverted before he has the chance to receive it. Those who know Mark recognize that he is a living embodiment of a Taoist approach to leadership, which emphasizes that the leader is often an unseen and unrecognized figure, even if a powerful force. The Tao Te Ching states, “When the Master governs, the people are hardly aware that he exists… The Master doesn’t talk, he acts. When his work is done, the people say, ‘Amazing, we did it, all by ourselves’” (Tao Te Ching, 17). Elsewhere, “the Master” is translated as “the leader.” I cannot think of a better description of Mark Yang’s influence than these words. But let me give a few more examples of Mark’s embodied Taoist leadership. Through the years, Mark has often played a guiding role while thrusting me along with others into the leadership and more prominent roles. In part, this was his awareness of cultural issues. He recognized that because I was a Western scholar, people in China would respond to me differently than another scholar from China. In part, this was also because Mark had more confidence in me than I sometimes had in myself. But mostly, I think this was a Taoist approach to leadership that was just innate in Mark. He always thought first about what would be the most effective in supporting the mission we were trying to achieve. When needed, he would step forward, but he preferred to be in the background. 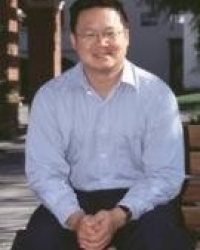 At the Second International Conference on Existential Psychology, Mark Yang was undoubtedly the most important person contributing to the success of the conference, yet this was hardly known by most people in attendance. Mark did not give a keynote address. He did not speak at the opening or closing ceremony. He did not make himself prominent. It was not known that the theme of the conference, which a focus of most presentations at the conference, was Mark’s idea—an idea that placed more focus on Xuefu’s work. Instead, he quietly advocated for others to be seen, heard, and recognized. I am certain that many of the people who directly benefited from Mark are not, and never will be, fully aware of what Mark did for them. It did not even need to be known that he was advocating for them to have the roles that they had. Through the years, I have known this side of Mark and deeply appreciated it. I have often told people that Mark does more than what is recognized. Yet, this year I gained a deeper appreciation for it as I finally heard it through the recognition of another wise observer. Jason Dias came to China for a third time as part of our group, making him the most seasoned participant on these trips besides Mark, Xuefu, and myself. One evening, he commented that he was amazed at how much Mark was doing behind the scenes. In the evenings, when most people were spending time with friends or sleeping, Mark was emailing and making phone calls about large and small details to make the conference go more smoothly. Mark avoided and repaired many potential problems, yet no one, except maybe Jason and myself, had much knowledge of this. Mark is not just a great leader, he is also a great scholar and trainer. For many years I have heard Mark’s passionate and compassionate presentations. He always brings deep soul to his presentations along with a beautiful presence. Yet, he avoids the lead roles when presenting. Even when in the spotlight, Mark points to others. Although Mark’s scholarship has received some appreciation, once again it is not to the degree deserved. The humbleness in his approach, and his focus on bringing existential psychology to the forefront, often allows him to not be seen even in his own contributions. Mark readily gives up his time to make sure everyone else is seen and given an opportunity to shine. Frequently, I have seen Mark give of his limited presentation time to allow someone else a chance to present. Often, this was a student who we did not schedule until seeing their level of comfort while on the trip. Other times, he has taken great effort to organize meaningful activities and exchanges for students who came along. When I have asked Mark to try to fit something or someone into the schedule, even though it is often difficult and inconvenient, Mark always works to try to make this happen. A final example of Mark’s leadership is in the personal touch he brings. At the end of presentations, while most people are shaking hands and taking pictures, Mark often can be found off to the side in deep conversation with someone who others may overlook. Often, during these conversations, I am struck by the intensity of the look on Mark’s face as he listens. I have also noticed that many of these individuals return and gradually seem more confident to engage more deeply in the dialogues. No doubt, Mark’s attention and encouragement helped bring them forward. Again, the Taoist leadership shines. It has not been a surprise to me that Mark’s presentations have increasingly included Taoist themes and references. I do not believe that Mark has long been a Taoist scholar, though I have not had this conversation with him. Yet, the convergence is evident. And the convergence with existential psychology is also evident. Mark’s message is always embodied as much as it is spoken, lived as much as it is talked about. If one wants to know existential psychology, it would be just as valuable to spend a week observing Mark during one of these trips as it would be to read a book by Rollo May or James Bugental. One would learn about Taoist leadership and one would learn about existential psychology. At the end, one would observe everyone feeling great about what they did and maybe for the first time recognize that nothing much would have occurred without this happily under-recognized, humble figure living his message. I owe Mark a great deal for my success in China and the lessons I have taken from my time in China. He has often advised and guided the direction of my presentations, just happy with their eventual success for which I am generally assumed to have sole credit. In many ways, this piece is one small payment in the huge debt that I owe to Mark. I know that it is not a payment Mark would ever want or expect. Yet, it is what I have to offer. I hope that Mark will accept this gift as one that I must give, even if insufficient to pay the full debt. In the future years of collaboration and friendship, I hope that I can continue to repay this debt. Yet, I imagine that despite my efforts, the debt will only continue to grow.